The disgusting anti-American “mainstream” media is filled with Leftists who have never met a Marxist ‘revolutionary’ movement they didn’t like. Then again, none of them have ever had to live under the authoritarian hell of murderous Marxist leaders like the Castro brothers in Cuba, “Uncle” Joe Stalin, Nicolas Maduro in Venezuela or any Communist Party leader in China since the 1940s. That’s why they can cozy up to and cover for groups like Antifa — because while they agree with them philosophically, they have no practical points of reference on which to base their preferences. With all of that in mind, it shouldn’t surprise you to know that The Washington Post’s editorial page editors are now giving ink and bytes to Left-wing kooks who want nothing more than to cover for Antifa domestic terrorist thugs so they can continue beating up honest, taxpaying, law-abiding Americans whose only ‘crime’ is having a difference of political opinion. In a recent Sunday edition of the Post, Margaret Sullivan, the paper’s “media” columnist, instructed fellow [Left-wing] journalists about how best to cover Antifa — which is to say, how best to cover for Antifa. 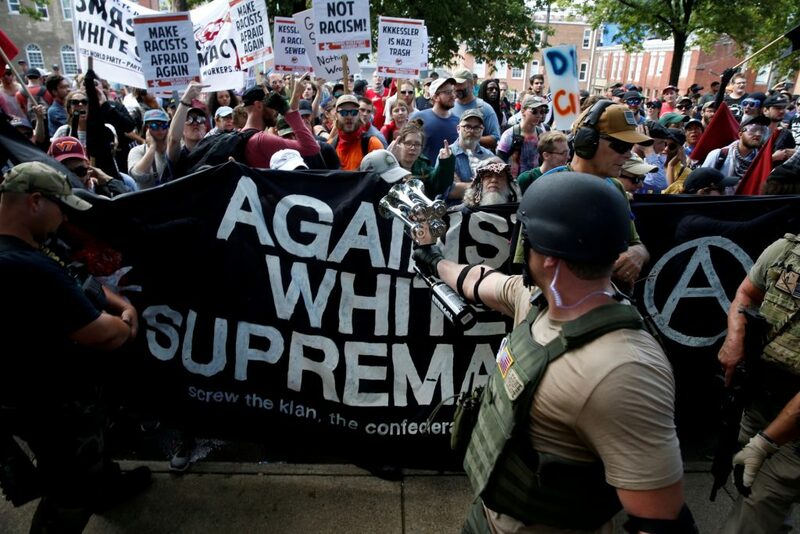 The soft pedaling of the group begins with Sullivan’s first sentence, in which she says that many Americans never heard of Antifa until “a white-supremacist rally in Charlottesville burst into the news.” Well, yeah, it did, but that was in large part due to violence inflicted by Antifa, so the attempt right away to insinuate that Antifa is “good” because members showed up to do battle with those “bad” white supremacists (and they are bad, but you get my point) is being made. Not only that, Antifa has been around since well before then-GOP presidential contender Donald J. Trump won his party’s nomination, showing up at his campaign rallies with the specific intent of attacking his supporters. Even Obama’s FBI and Department of Homeland Security could see that. Confusion reigns. But one thing is clear: The term [Antifa] has been quickly weaponized. Blended with some hazy terms like “alt-left,” it became politically useful to the right, and certainly to the president. What’s even more galling is that Sullivan refuses to acknowledge that both neo-Nazis and Antifa can be “compared in the political arena.” No? If one group is “Alt-Right” and the other is “Alt-Left,” how is it not possible to ‘compare’ (and contrast) them? Wrong, lady. The FBI and DHS beg to differ.